Walking through an open space near the middle of a city of 90,000 isn’t the first place I’d think to find a lot of wildlife. 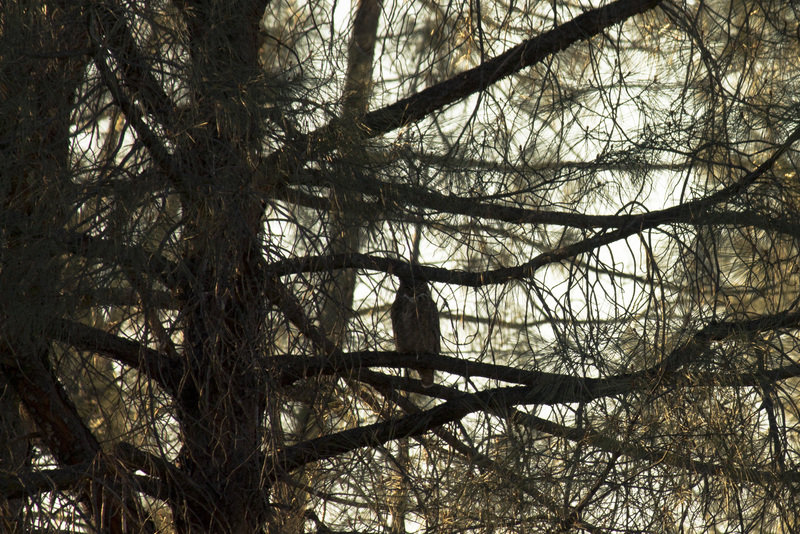 Fortunately, not one, but two great horned owls perching in this pine proved me wrong. Both were resting for the day, and unfortunately, our group disturbed one. It dropped from its perch, unfolding its nearly 4 foot wingspan, and glided to an oak a short distance away. New project: get better at manual focusing on moving things. ← Feet on the Ground: So, what are you doing?